Acoustic ceiling panels that look good, perform well and are practical. 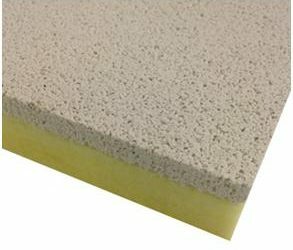 Quietstone specialise in acoustic solutions so all our acoustic ceiling systems have excellent sound absorbing qualities. In addition these acoustic ceiling panels are hard wearing, yet light weight making them exceptionally easy to handle and install. They even come in a choice of colours so look good in any room. Take out your old ceiling panels and refresh them with something new. 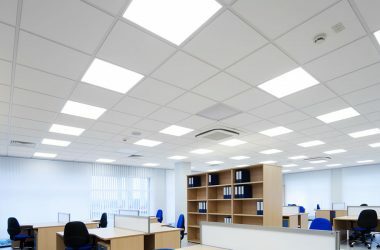 Quietceiling panels will transform the acoustics in your office, reception, boardroom or other rooms. They are available in 3 finishes, White, Grey and Cream. 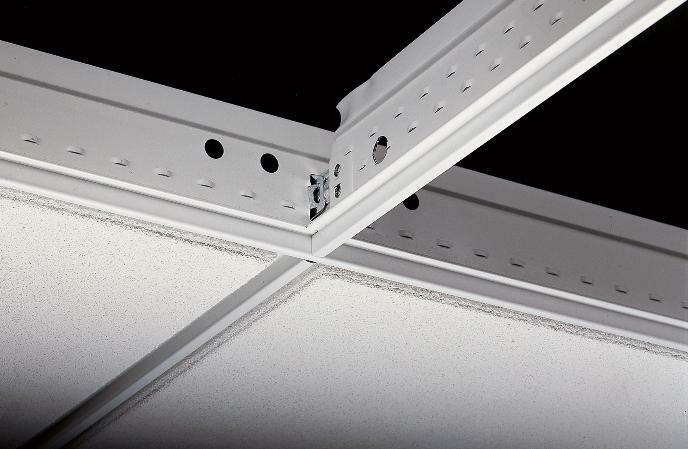 If you are looking for a high performance acoustic ceiling with a seamless finish then then take a look at Quietspray. Quietstone also make acoustic tiles suitable for use on a ceiling or a wall. Call us to discuss your requirements and which products would be ideal for you (0)1625 576970 or contact us. Each panel is 60cm x 60cm to fit in a standard grid system. The panels are 35mm thick, to offer maximum sound absorption. Each panel weighs only 1kg which makes installation very easy. 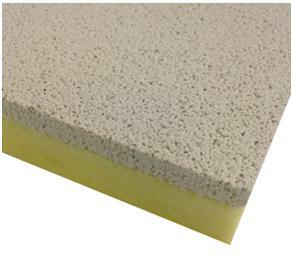 Quietceiling panels are made from mineral wool backing and a recycled glass non fibrous face finish. Sound absorption or noise deadening, is one of the key properties of Quietstone. This is because the structure of the material is designed to take in and absorb the sound energy. This unwanted sound is then lost or transmitted away thus ‘deadening’ the noise. We offer expertise and a range of products for sound insulation. Whether your requirement is for an indoor or outdoor noise barrier we have a range of products suitable for any sound insulation project. 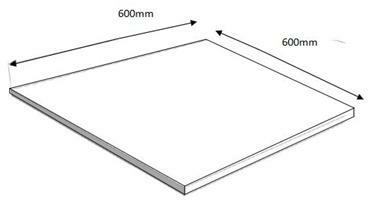 We supply barrier sheets for partition walls, ceiling systems and lining material for marine engine rooms.